Never lend money you can’t afford to lose, especially the flashy new fivers. This is just a quick update on the small changes I’m making each day in October, trying to spend less, earn more and save a chunk of cash towards Christmas. One quick way to raise more money is to ask for anything you’re owed. Maybe you bunged someone a tenner when they hadn’t been to the cash machine, or helped out a family member in a bind. Maybe, if you’re self-employed like me, you’re owed money for work you’ve done. Sometimes it’s easy to say “Oi, can I have my tenner back?”, or suggest the other person covers coffee/lunch/the cinema next time. Sometimes it can be hard to ask for money back, especially if you’ve put off any discussion for fear of embarrassment. I reckon the best approach when it comes to lending to family or friends is to say no – while checking out how else you could help, perhaps in time, childcare or emotional support. However, if you do part with some cash, best to view it as a gift, not a loan. That way, if you never see the money again, it won’t wreck the relationship, and if you do get paid back, it will be a bonus. On my work front, usually if I do written work, I can attach an invoice at the same time as sending the finished article. All sorted, done and dusted, if the work gets published than it’s tricky to argue that the invoice didn’t arrive in the same email. Yet earlier this year I did some work for a friend, editing some articles. Originally it was meant to turn into something more, so I didn’t invoice immediately, and then life moved on. He even reminded me to send in an invoice, but I felt a bit embarrassed after the delay, and because we hadn’t finished the project. Anyway, on Day 11 we discussed the cost of some completely different work, and it inspired me to finally create and email the invoice. Makes me wish I’d done it earlier! Earn more: £27.26 from supermarket cashback apps, joining Quidco and invoicing for money owed. Anyone else chased succesfully for money they were owed? Or do you end up letting things slide? What are your financial resolutions? 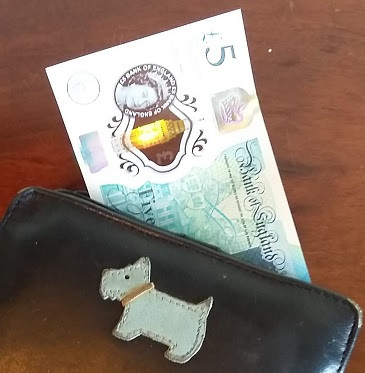 Money asked for, lent and then never repaid, (it was a four figure sum) followed by disgraceful behaviour when it was asked to be returned, on top of some other things has caused a rift that will never be healed between two members of my family. So sad. I'm sorry about your family members Sue. Money is such a powerful thing, it can be such a force for good but can also destroy lives with debt and cause rows in relationships.